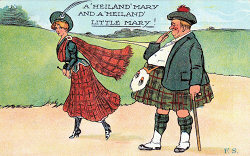 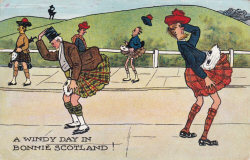 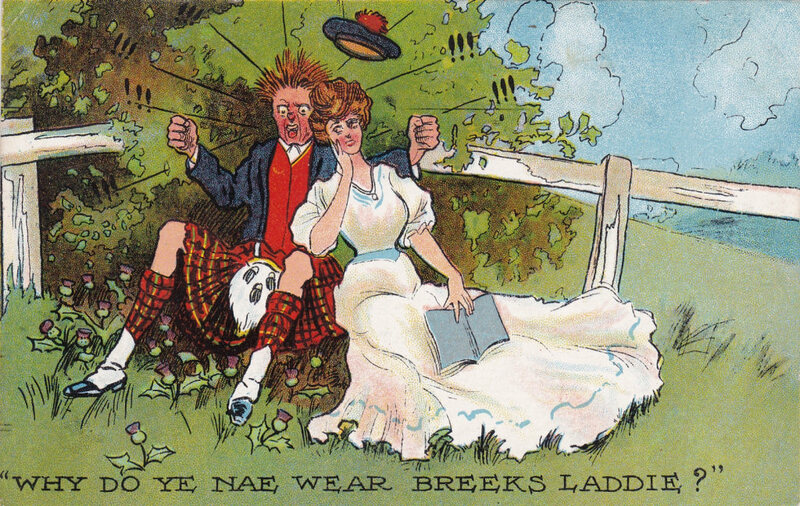 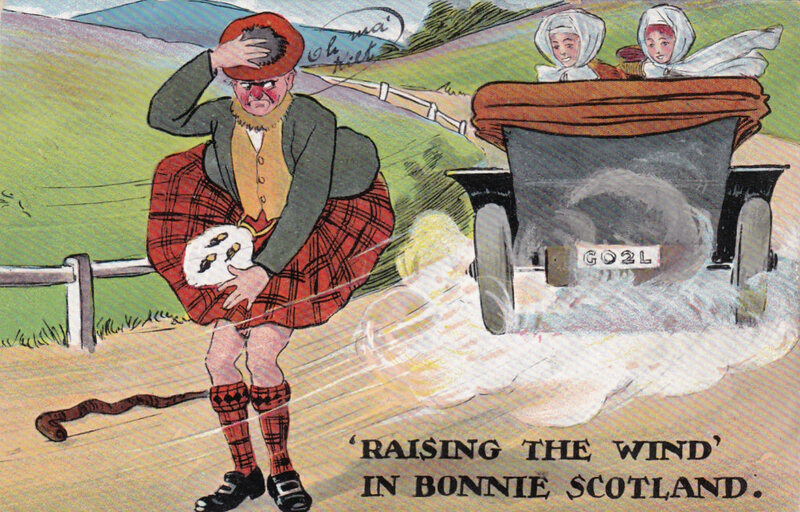 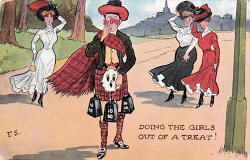 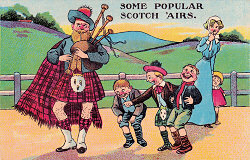 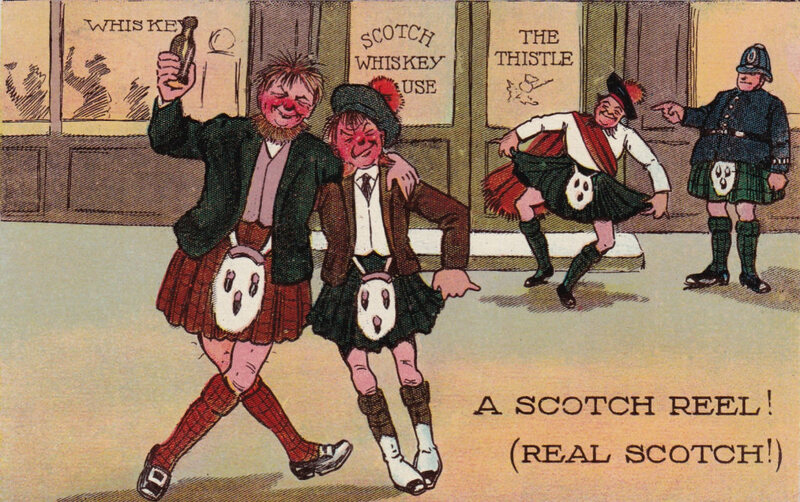 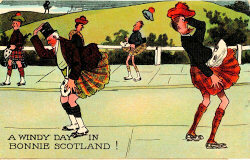 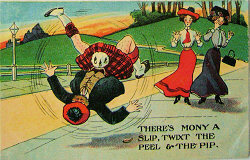 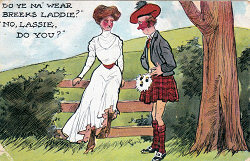 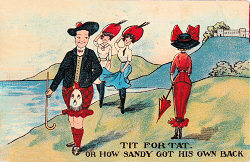 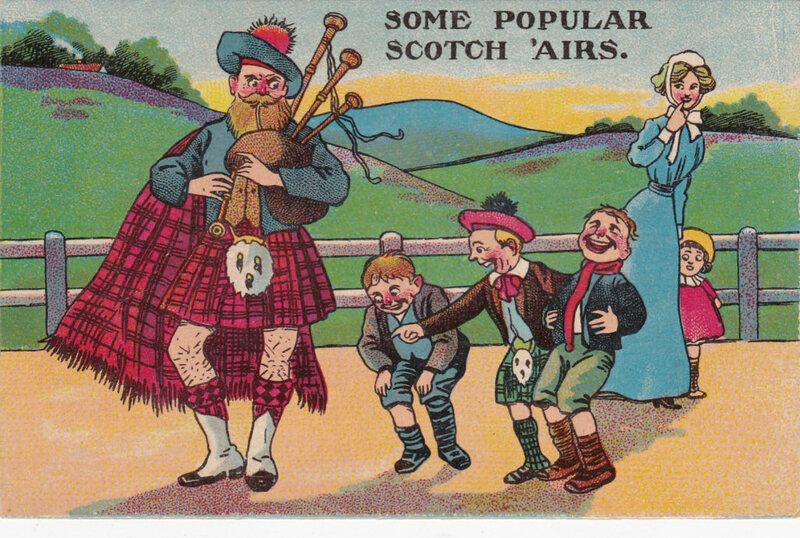 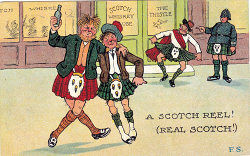 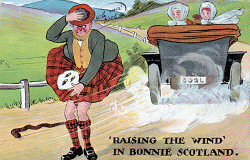 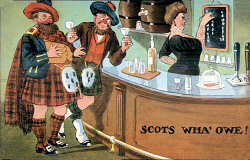 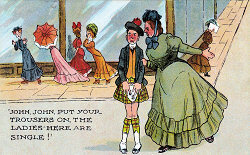 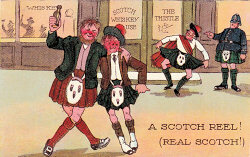 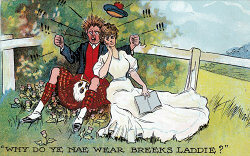 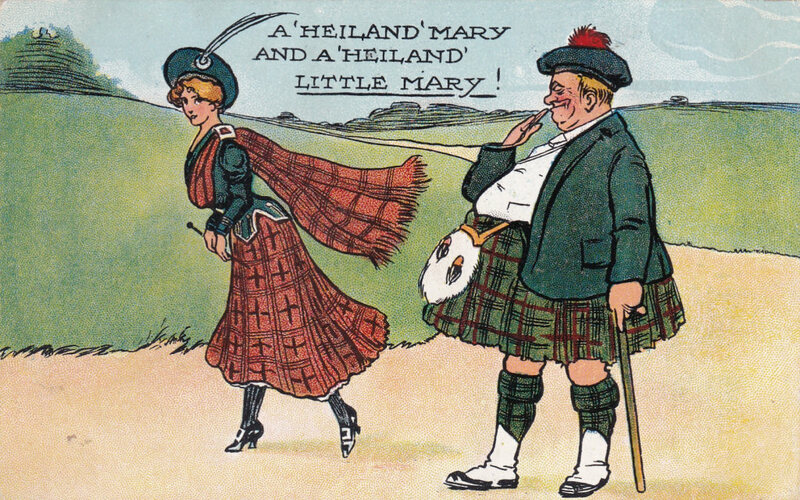 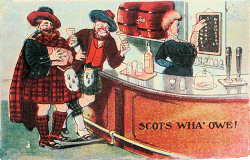 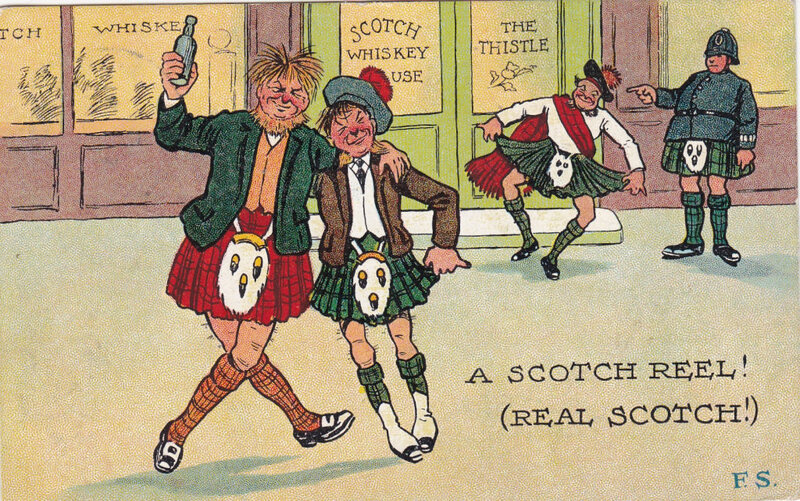 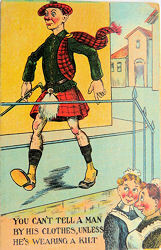 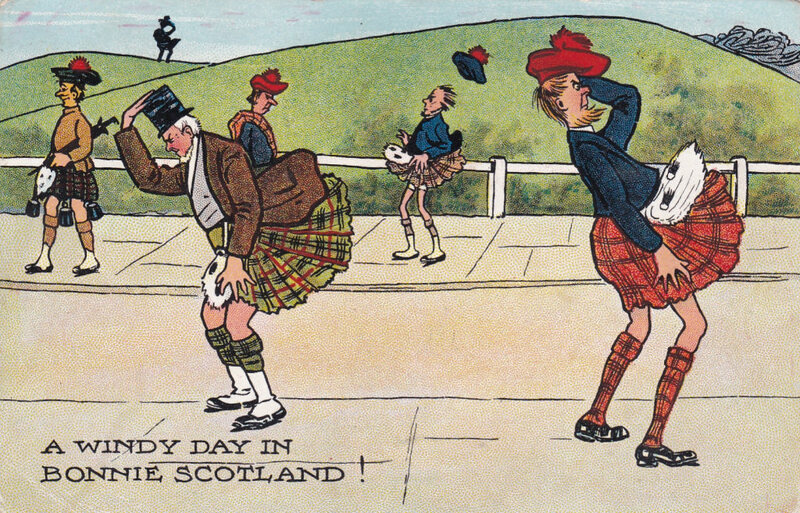 Provisional F. S. Series -"Kilts"
A Windy Day in Bonnie Scotland! 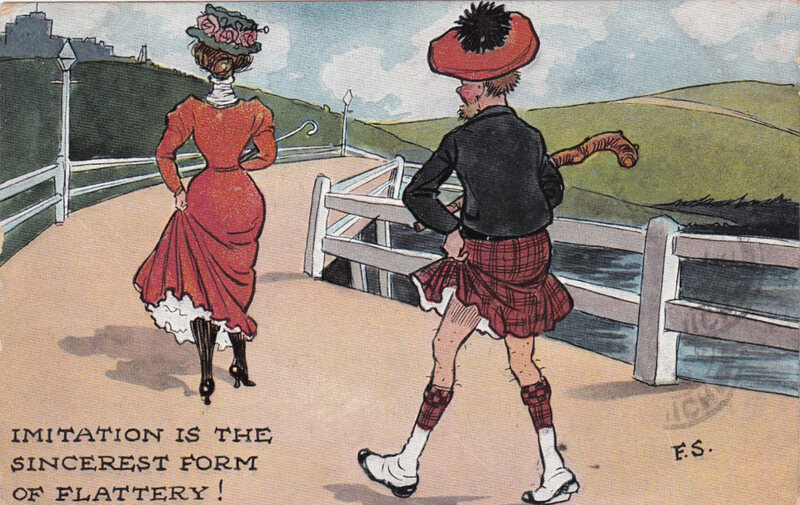 "John, John put your trousers on. The Ladies here are single!" 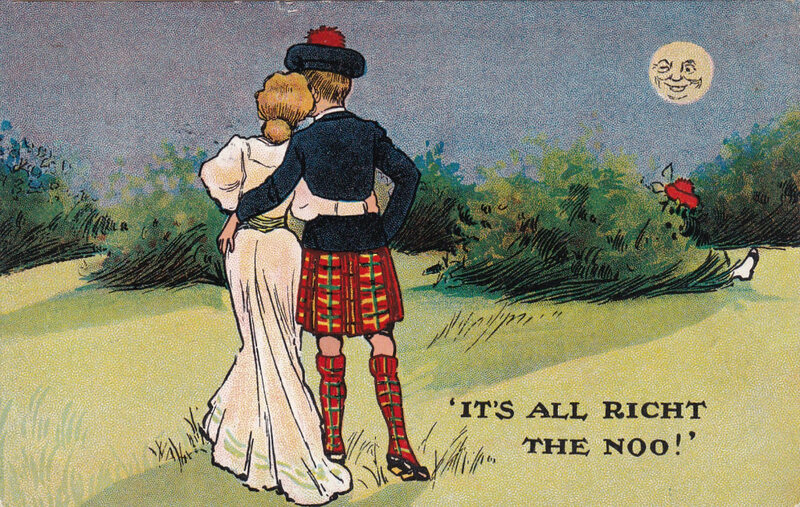 "It's All Right The Noo!" 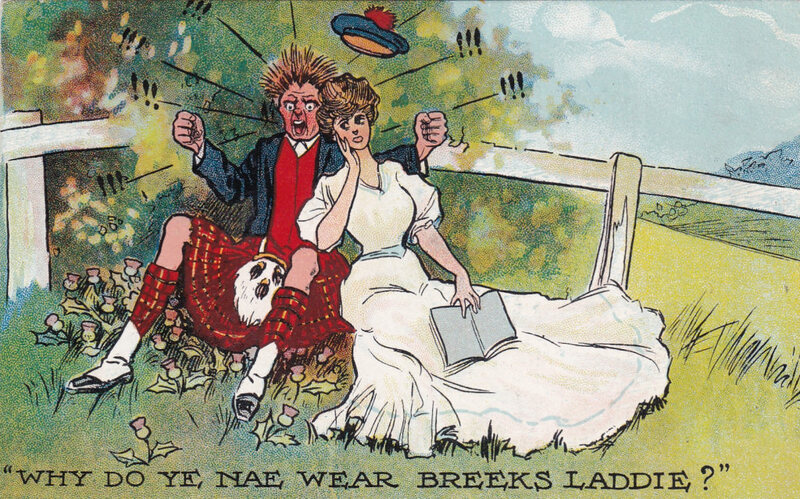 "Why do ye nae wear Breeks Laddie?" 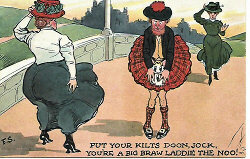 You can't tell a man by his cloths, unless he is wearing a kilt.